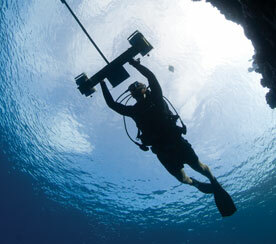 Andrew Baird is a Principal Research Fellow with the ARC Centre of Excellence for Reef Studies. 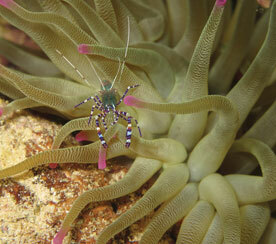 His interests include coral community ecology, larval ecology, bleaching and reproductive biology. The focus of the current seminar is reproductive synchrony in corals. He will present data on the timing of Acropora reproduction from 20 regions in the Indo-Pacific which demonstrate that, contrary to the prevailing paradigm, multi-specific spawning is a feature of all speciose Acropora assemblages. The annual mass spawning of scleractinian corals on the Great Barrier Reef (GBR) is one of the most spectacular natural phenomena. Similar studies in the Caribbean and the Red Sea failed to find similarly high spawning synchrony among species and the paradigm of the mass spawn being unique to the GBR became entrenched. The mass spawning paradigm consists of two propositions: firstly, multi-specific synchronous spawning is restricted to regions characterized by large fluctuations in environmental variables such as temperature; and secondly, all mature colonies on the GBR breed annually with tight synchrony in gametes release over a large scale. Subsequent work from numerous locations within the Indo-Pacific indicates that multi-specific synchronous spawning is a characteristic feature of all speciose coral assemblages. Similarly, the proposition that most mature colonies breed annually with tight synchrony in gametes release over a large scale on the GBR is also untenable. A high proportion of colonies in a similar reproductive condition is the exception rather than the rule because a significant proportion of individuals of sexually mature size do not breed every year, and spawning among colonies of the same species is regularly split between consecutive months. I argue that one result of the pervasiveness of the mass spawning paradigm has been to inhibit research into coral reproductive biology, particularly recently on the GBR. Consequently, details of the life history, including parameters fundamental to understanding the potential of species to adapt, eg generation times, of all but a few intensively studied species are completely unexplored. In this talk, I present data from over 20 locations in the Indo-Pacific to demonstrate that patterns of spawning are far more detailed and varied than implied by the paradigm of the mass spawn.